Spring is officially here, which means it’s the perfect time of the year to open the windows, let the sunshine in and work on decluttering your home. Here are some quick tips to help you declutter your home and enter this next season organized and stress-free. When you purchase one new thing, get rid of three. The old way of decluttering your home recommended throwing out one old thing for every new thing that you bring into your home. Instead of evening the score—in terms of clutter—why not triple the amount of items you’re getting rid of when you bring home a new item? If you buy a new shirt, get rid of three. If you buy a new toy for your kid, get rid of three. Ridding of items doesn’t necessarily mean you have to throw them in the trash. You could hand them down to a loved one or even recycle the items. Purge what cannot be stored. One of the tell-tale signs you should be decluttering your home? Your shelves, cabinets, closets and other hidden nooks are overflowing. Take an inventory of the things you have in your kitchen, cabinets and shelves. Do you have six spatulas? Are you constantly shoving things down to close your drawers? Then it’s time to downsize what you own and only keep what can be comfortably stowed away. In relation to the last tip, this is specifically for your closet. 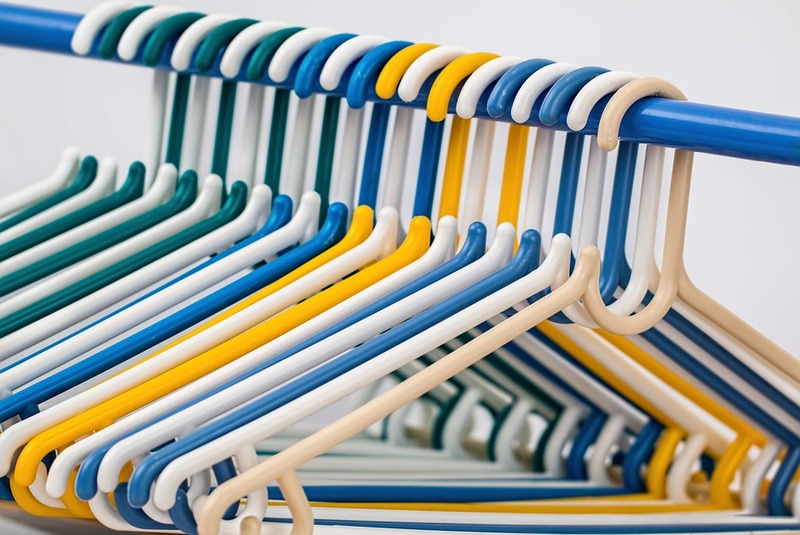 First, categorize your closet by color, types of wardrobe (striped shirts, dresses, skirts, etc.) and even your shoes (boots, sneakers, heels, etc.). Is your blue t-shirt section quite larger than the other sections of your closet? Then it might be time to consider donating some of your blue shirts and other repeated wardrobe items. The same goes for shoes! There’s no need to keep that one shoe around in hopes that you’ll find the other shoe when it’s been lost . . . for over a year now. From salad dressings to cheeses and beverages, give your fridge the same categorizing treatment. This way, you can have a chance to look at all of the expiration dates, toss the old items out and have a better idea of your inventory before you take your next grocery store trip. Break down boxes as they come. If you’ve become victim to a mountain of Amazon Prime packaging boxes in your garage, you’re not alone. Instead of allowing packaging and other recyclable materials to build up, break down boxes right away and keep a small recycling container in your garage. Then, once the small container fills up, take this out to the larger canister outside. This way, you’re not looking at a mountain; just take one box at a time. Of course these are just a few small ways you can declutter your home. Other areas to take care of are the ever-growing paper stack, the home office and your home pantry. Just declutter each area of your home, one pile at a time, and you’ll soon find yourself in a clutter-free home!